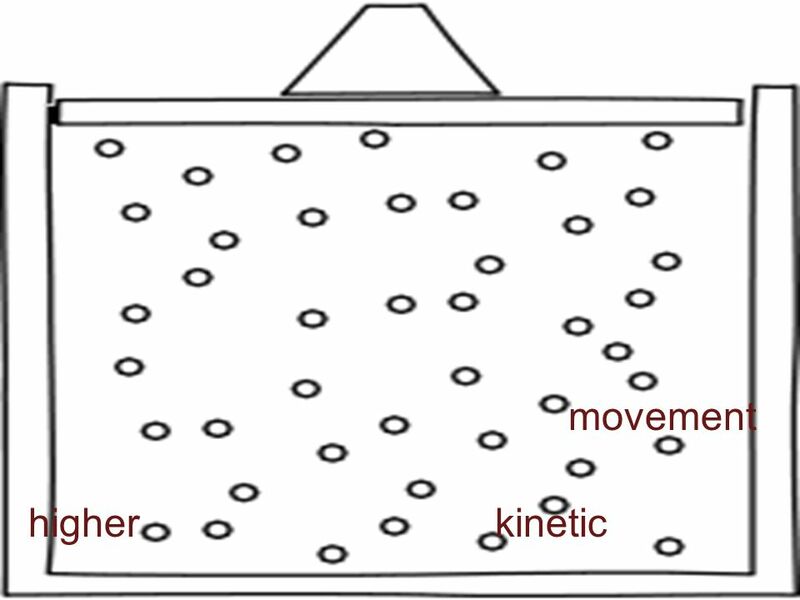 GRAPH- Inquiry 4 Density of air. Directions: 1.Finish calibrating thermometer (steps 9 and 10) 2. 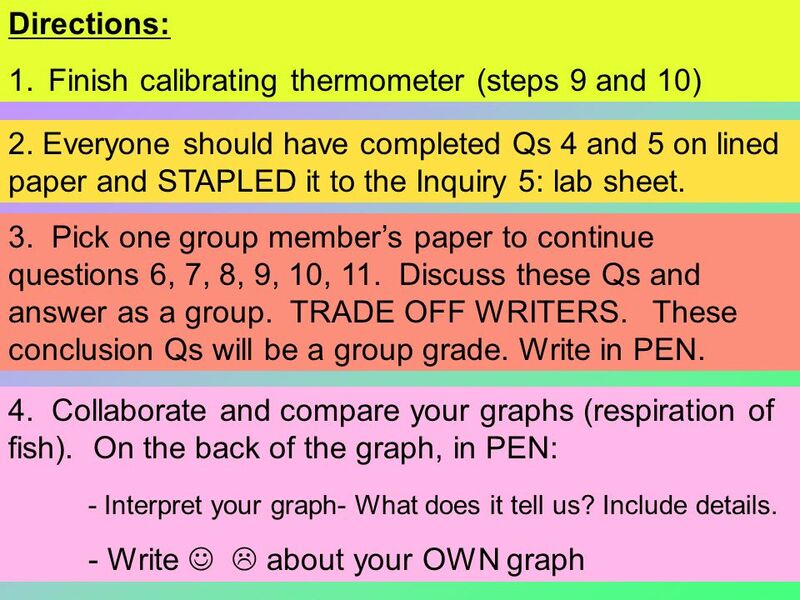 Everyone should have completed Qs 4 and 5 on lined paper. 4 CONTENT BLAST! 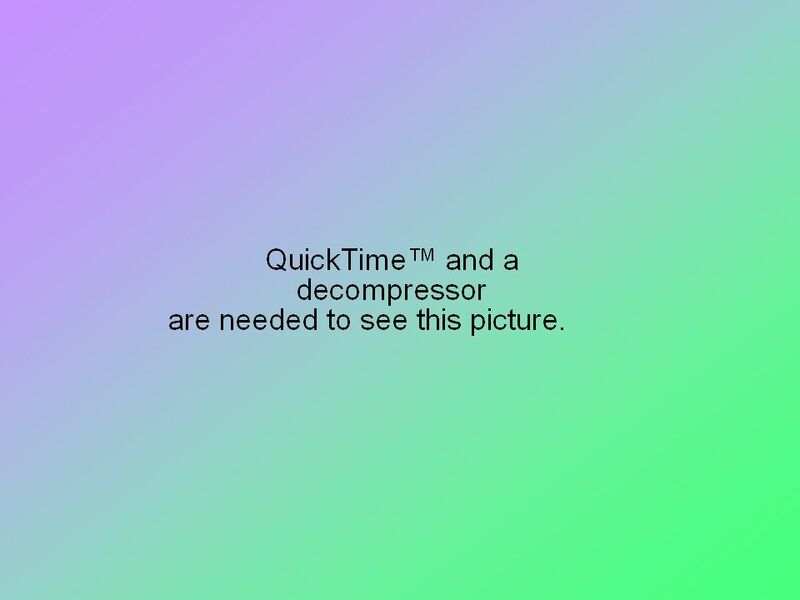 - Temperature and Density SOLIDLIQUIDGAS I. 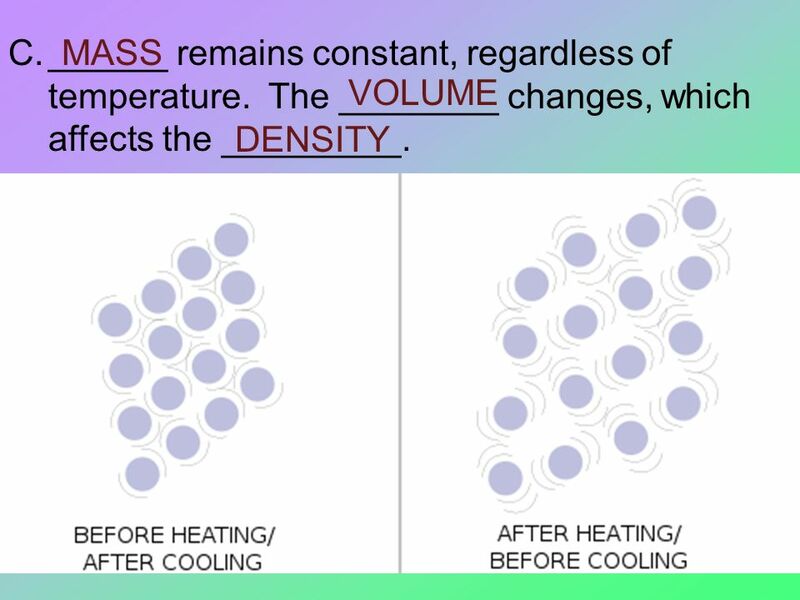 Describe how the motion of the particles and the density of a substance change as it is heated. 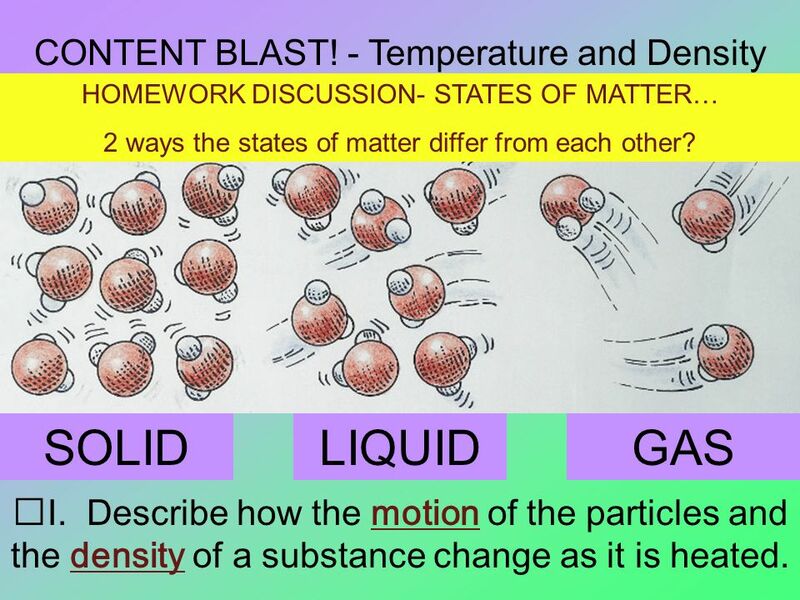 HOMEWORK DISCUSSION- STATES OF MATTER… 2 ways the states of matter differ from each other? 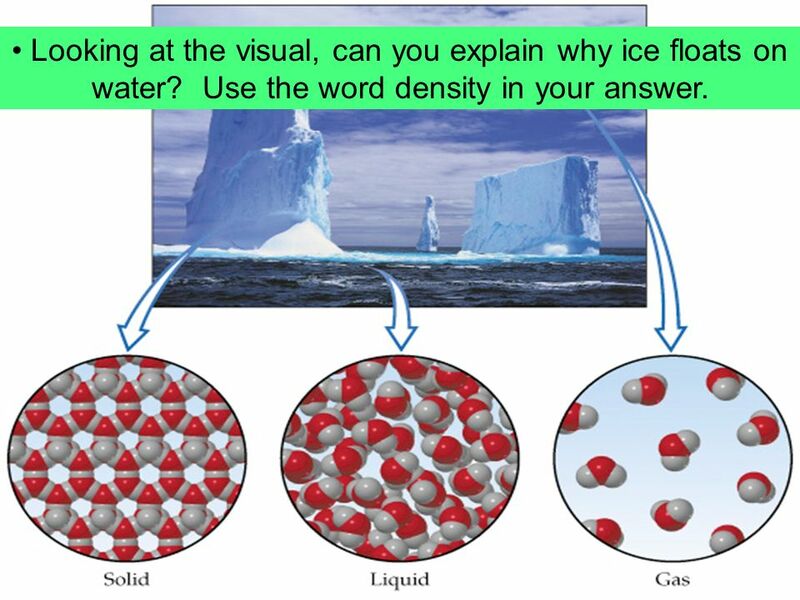 5 Looking at the visual, can you explain why ice floats on water? Use the word density in your answer. 7 III. 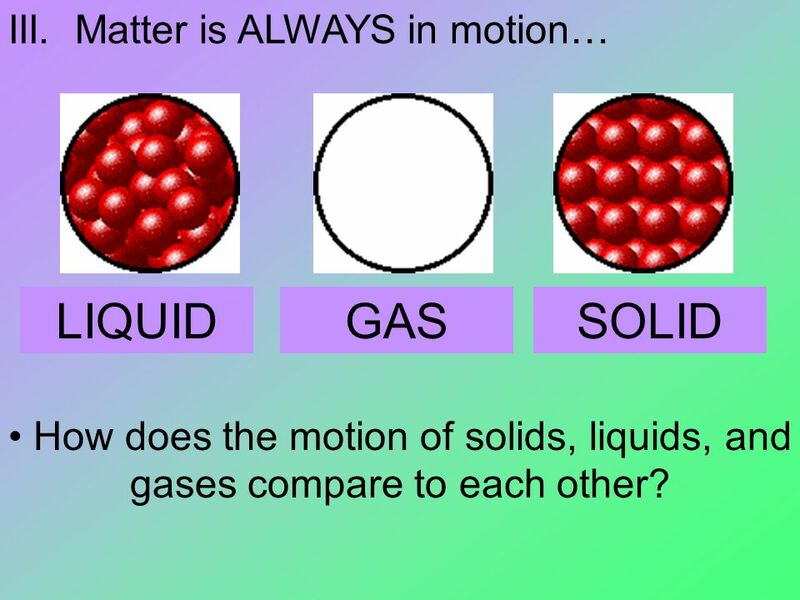 Matter is ALWAYS in motion… LIQUIDGASSOLID How does the motion of solids, liquids, and gases compare to each other? 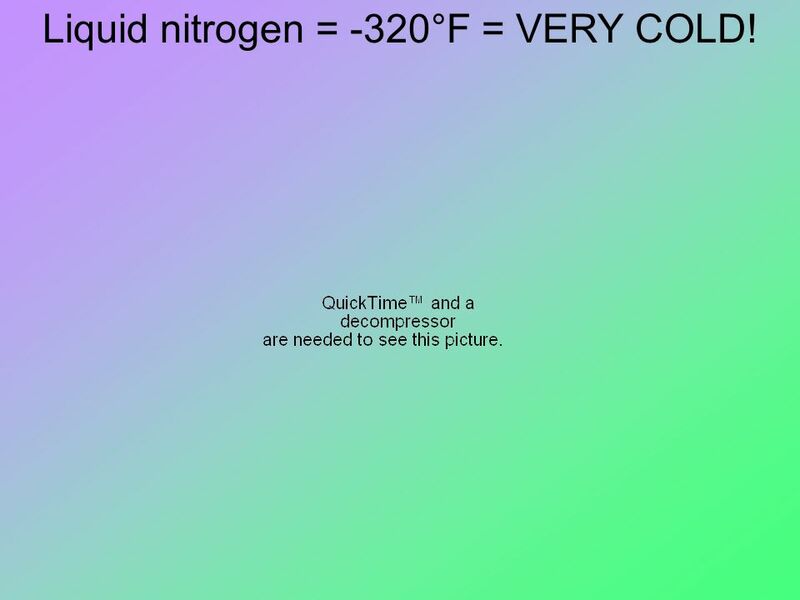 10 Liquid nitrogen = -320°F = VERY COLD! 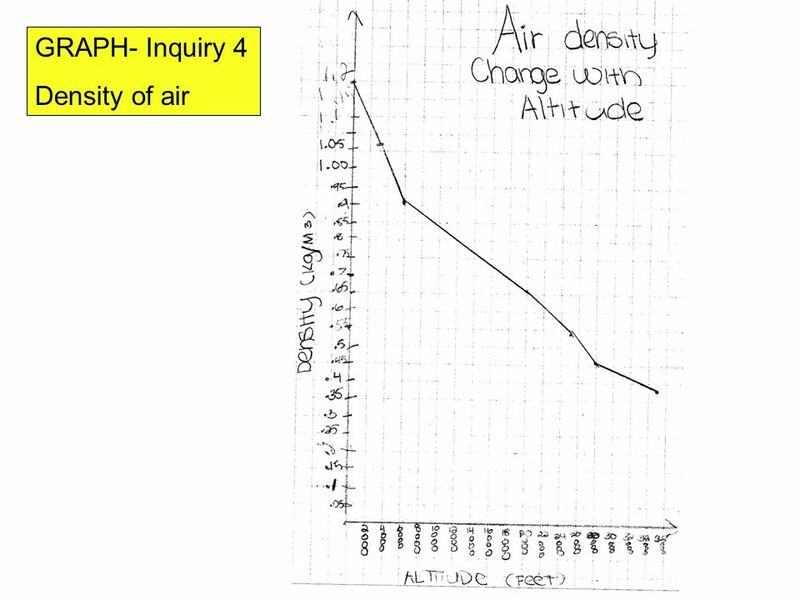 Download ppt "GRAPH- Inquiry 4 Density of air. Directions: 1.Finish calibrating thermometer (steps 9 and 10) 2. Everyone should have completed Qs 4 and 5 on lined paper." 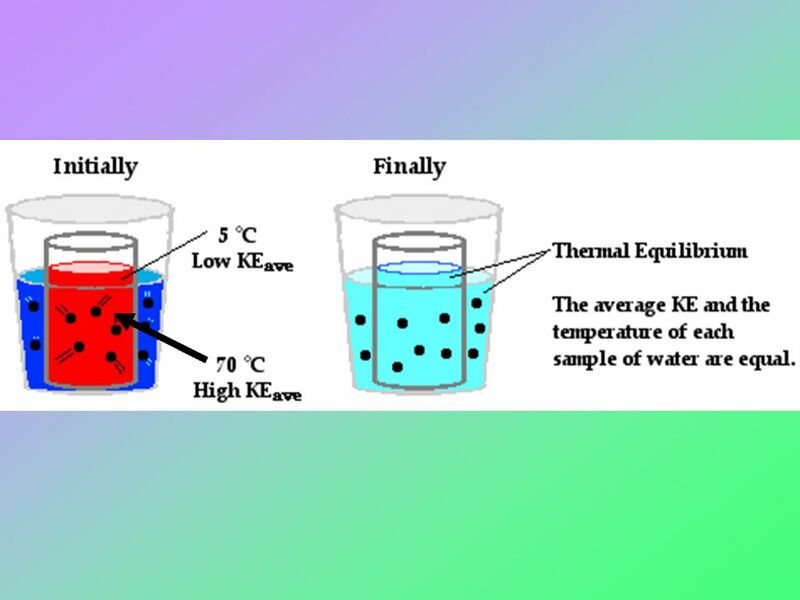 Convection Currents and the Mantle EQ: How is heat transferred? 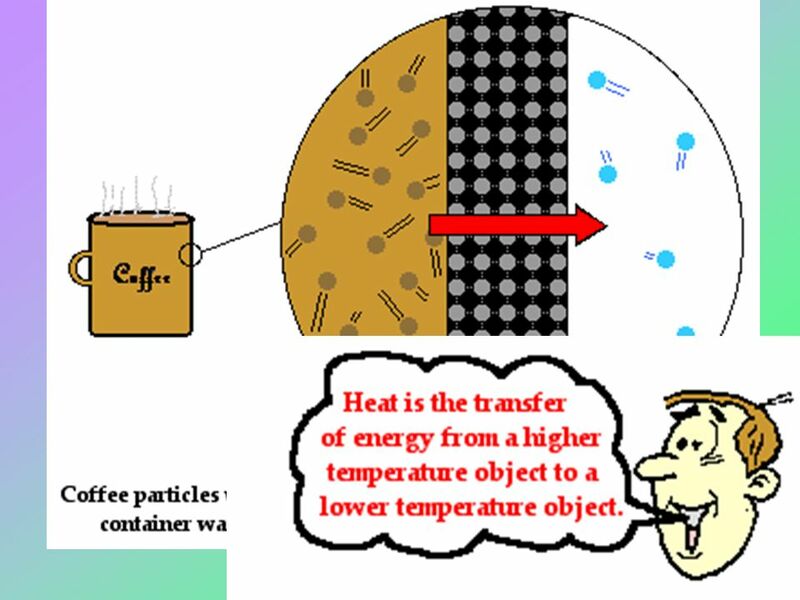 THERMAL ENERGY Integrated Science I Thermal Energy is heat energy; it is the total kinetic and potential energy of the particles making up the material. 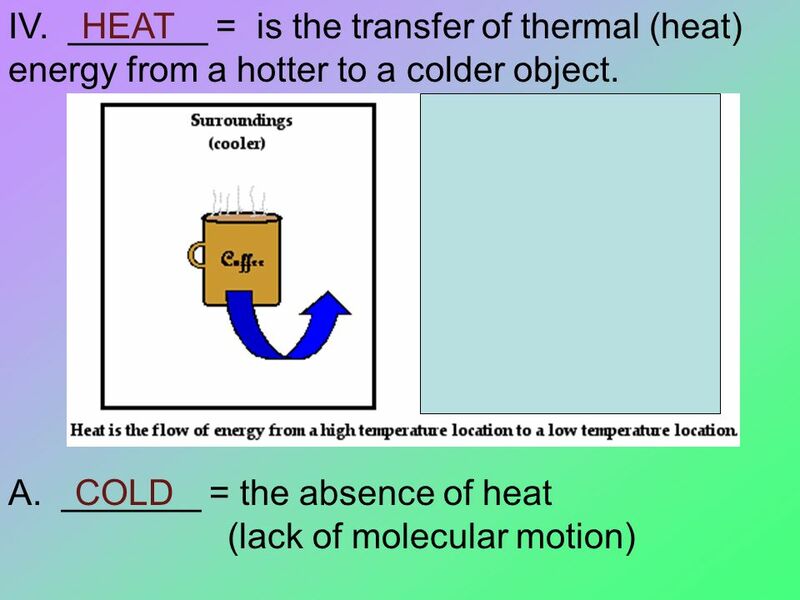 Thermal Energy. 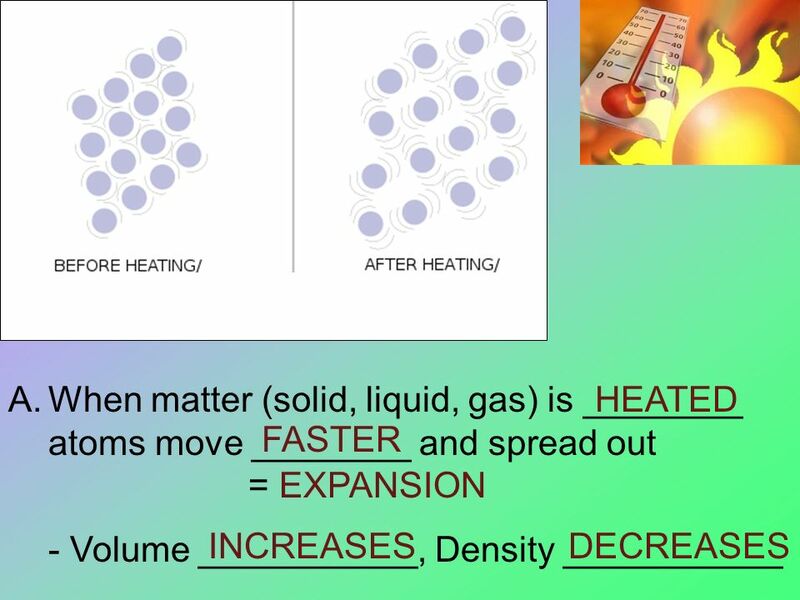 1.Thermal Energy is the vibration or movement of atoms and molecules. 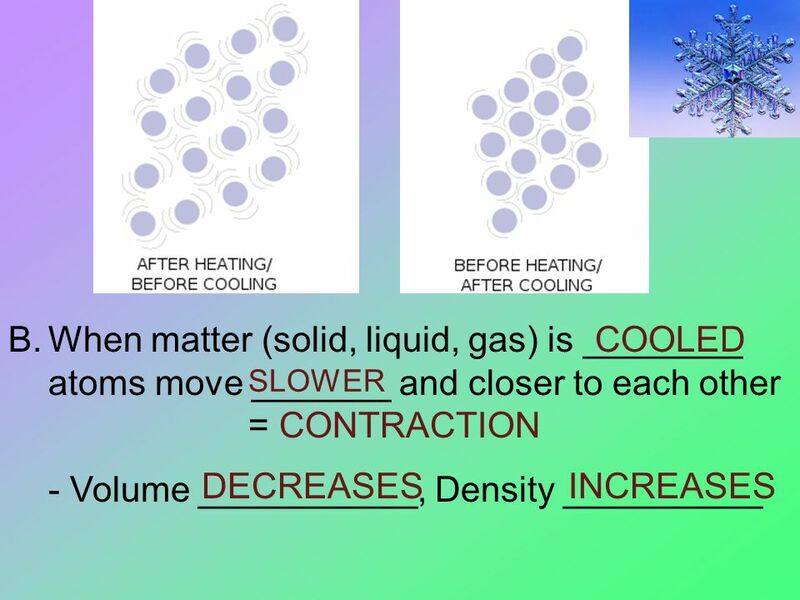 2.All matter has thermal energy because the atoms are always moving. Do Now Give an example for each of the following energy conversions. 1.Electrical → Thermal 2.Chemical → Mechanical 3.Electrical → Mechanical 4.Mechanical. 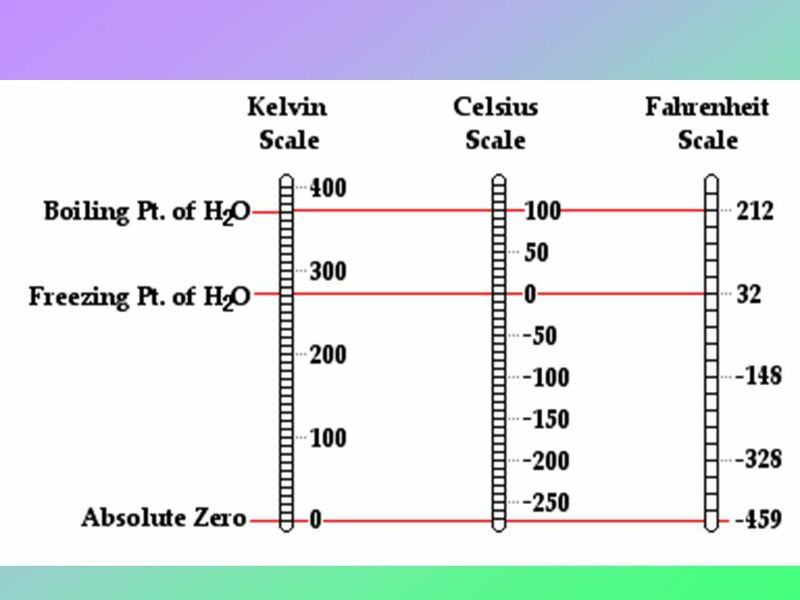 Bell work The temperature of boiling water is 100° on the Celsius scale and 212° on the Fahrenheit scale. Look at each of the following temperatures and. Thermal Energy 3rd grade science The measure of the energy of particles in motion in matter. When the particles in the air move more slowly, they have. Chemistry Notes Physical Science = study of matter and energy Chemistry = study of matter Physics = study of matter and its motion Matter = anything that. Do Now! Can you continue with the questions you were doing last lesson (Expansion)?